The most famous, beautiful and oldest story of all - the story of Christmas - told through the words of Thomas Quasthoff – spoken and sung. The Grammy-Award-winning vocalist presents Christmas-inspired texts by Brecht, Rilke, Ringelnatz to name but a few, completed with four Christmas classics, in new arrangements by Frank Chastenier. 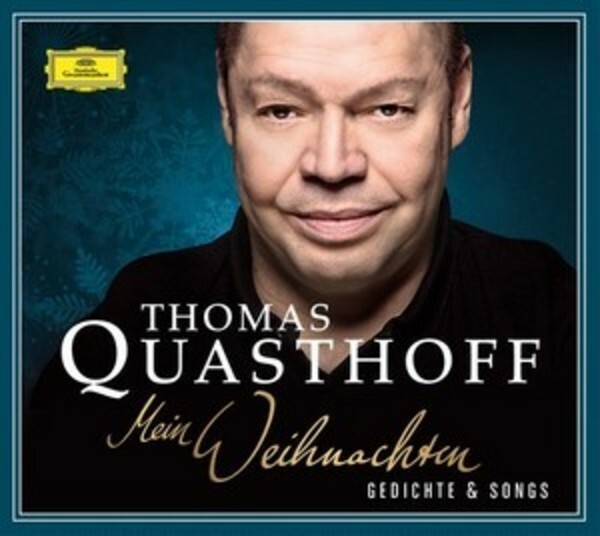 After his withdrawal from the concert and opera stage in 2012, Quasthoff returns to his home label for his very first spoken word project on DG, reading a personal collection of poems and stories based around the Christmas theme. Again and again, his unique qualities have enriched the world of singing and music for decades. All over the world, he captivated his audiences with his love of music, his unique talent and the unbelievable energy he exudes on stage.